Good Morning! Well it is that time again! I really loved this month's project! We pride of ladies at Just a few friends have issued a challenge to all our followers. Elsa and Kimi our Pride leaders have come up with a layout design sketch from pagemaps.com and each of us have completed a layout using this design. 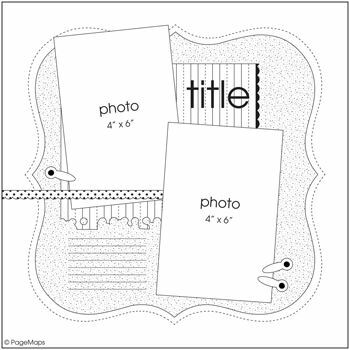 Our challenge to you is to create a layout using this design, it can be a 12x12 or 8x8. 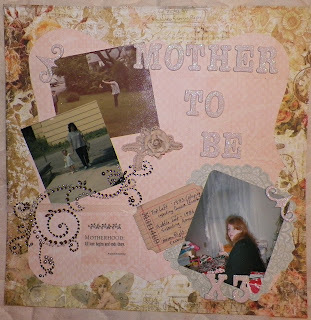 You can use ribbon, flowers or whatever you desire to create your layout but the word MOM has to be included. Any color goes, any style is fine! For more details on this months giveaway you must first start at Elsa's blog at http://www.JustaFewDesigns.blogspot.com . There will be a giveaway so you might want to play along! As usual you must visit each blog and comment on each post as well as create a layout using this sketch! But before show you my layout...I wanted to show you this special mothers day bouquet! It can be used in an altered project or worn as a corsage! Enjoy! Here is my layout for the challenge! The title is MOTHER-TO-BE X3! Enjoy! Very cute interpetation of the sketch!! !